The father-son relationship is a special thing. 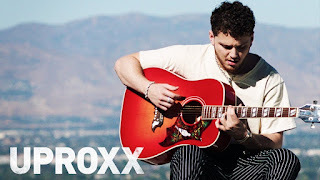 Go backstage with Bazzi to learn how his dad was there for him and supported him through it all. Brought to you by Honda Stage and UPROXX. UPROXX: The premier news and culture platform for the digital generation. News, sports, music, and entertainment with a connection you won't find anywhere else. Polar. A Netflix film. Music scored by deadmau5.